This photograph documents a selection of the books from Underground Library prior to being converted to carbon-sequestering biochar. 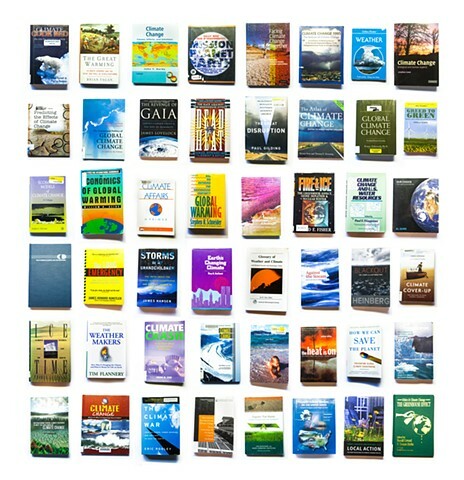 These 48 volumes, spanning the 70s to our current decade, are just a small fraction of the popular, scientific and educational literature written on climate change since the effects of global warming were first discovered. For almost 50 years scientists, activists, environmentalists, economists and others have been sounding the alarm bell, but with the roar of capitalism in our ears, we seem to have not been able to hear.